American Withdrawal from the INF Treaty : What Consequences for Europe's Defense? President Trump announced on 20 October that the United States would withdraw from the Intermediate-Range Nuclear Forces Treaty. Quentin Lopinot, a career diplomat at the French Ministry of Foreign Affairs, answers our questions on the ways in which this withdrawal could impact Europe's defense. 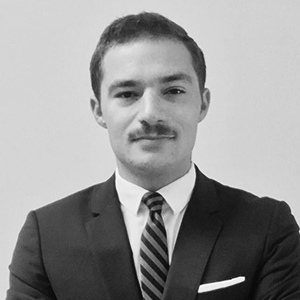 Quentin Lopinot is currently a Visiting fellow at the Center for strategic and international studies (CSIS) in Washington, and a career-diplomat focusing on strategic affairs and non-proliferation. The views expressed hereafter are personal and do not reflect those of any institution he is affiliated with. Why is the Intermediate-Range Nuclear Forces (INF) Treaty important for European security? There are two reasons why the INF Treaty holds such an important historical and political value for Europeans. First, it is the only treaty to have eliminated an entire class of missiles (land-based missiles with ranges varying between 500-5,500km), under robust verification provisions. It was thus a major achievement in terms of nuclear disarmament, and represented a very positive development for Europeans’ security environment. Second, it put an end to the Euromissile crisis – which was not only a security crisis, but also a political one. European members of NATO feared that Washington would not view the deployment of Soviet intermediate range missiles SS-20 as a direct threat to the US - while it was one for Europeans - and would therefore allow for the decoupling of European and American security interests. The INF Treaty therefore made a decisive contribution to Alliance unity. NATO’s response to this crisis, which combined the deployment of intermediate range missiles Pershing II and an offer to negotiate, which ultimately led to the INF Treaty, demonstrated on the contrary that American and European security interests were fundamentally indivisible. The INF Treaty thus made a decisive contribution to the unity of the North Atlantic Alliance. This is why its potential denunciation by the United States resonates so much with the historical relationship between Europeans and NATO. The military and operational value of the INF Treaty is more tricky to assess in 2018, compared to what it was in the 1980s. Back then, ground-launched missiles of intermediate range were disruptive for strategic stability, as they could be launched in very short timeframes and inflict relatively limited damage. As opposed to intercontinental ballistic missiles, they could be either conventional or nuclear. Today, the comparative advantages of such systems have decreased, since sea-launched or air-launched cruise missiles (which are not constrained by the INF Treaty) have become significantly more performant. However, ground-launched missiles do still have some added value: it is indeed harder to determine whether a ground-launched missile is equipped with a nuclear or a conventional warhead. Moreover, they can be deployed in concentration to exert localized pressure on a given area, in a more permanent and sustainable way than sea-launched or air-launched missiles. Would Washington’s withdrawal from the INF Treaty impact the transatlantic relationship? Both the Obama and Trump administrations denounced Russia’s violation of the Treaty over the last few years. And all NATO Allies agree that it is highly likely that Russia is violating the Treaty. There has thus been a solid and consistent transatlantic dialogue about this issue for quite some time, which means Washington’s recent announcement does not entirely come out of the blue.. This being said, NATO Allies were not consulted on the matter. This is both a procedural and a substantial issue. Indeed, all NATO Allies – and in particular France, Germany and the UK – consistently emphasized the importance of the INF Treaty’s contribution to the architecture of European security. What is most concerning in the American decision is its underlying political message. If the US were to withdraw now from the INF Treaty, it would not be perceived as an enforcement move, as it could have been earlier. Indeed, it could have previously been a way to pressure Moscow back to compliance with the INF Treaty. Today, the message conveyed is different: the current administration does not believe in the value of arms control, and does not consider preserving the European security architecture as a policy goal per se. It should indeed no longer be presumed that preserving the European security architecture is by definition favorable to American security interests. Washington’s announcement thus reflects a new American approach to strategic competition with both China and Russia, which will have consequences on European security. Comments made by both President Trump and John Bolton made this point very clear. Again, we should not exaggerate the impact of this INF decision – it is politically important but is not a strategic game-changer for European security. However, it is an additional factor, which, when linked to others, reveals a significant shift in the transatlantic partnership. And Europeans are starting to realize this. How should Europeans react to this new situation? First, we should keep in mind that no European country is a party to the INF Treaty. Europeans’ reactions will therefore significantly depend on Russia and the United States’ next steps. Russia could now openly (and legally) field some intermediate ground-launched missile on its western flank. This would of course cause great anxiety, but NATO Allies should be able to adapt their stance accordingly and demonstrate that – even if they disagree on the value of prohibiting intermediate-range ground-launched missiles in Europe – they are still determined to uphold Article 5. The prospect of deploying similar American systems in Europe would be even more challenging for the unity of the NATO Alliance: while some countries might support it, it would certainly involve an extremely divisive discussion among NATO members. And such disunity would in turn have consequences for the Alliance’s credibility. If the United States is not willing to discuss arms control anymore, then Europeans should start endorsing more responsibilities in this field. At the end of the day, their own security is the one at stake. It means that Europeans have to discuss the capabilities and behaviors that they deem most concerning, along with ways in which the latter could be constrained. But here again, what is crucial is to avoid division amongst Allies. Both Europeans and Americans will have to work together and eventually reach an agreement. This requires that their respective roles evolve. Finally, we should also keep in mind that if the INF Treaty goes down, it will negatively impact the conversation on global nuclear disarmament. It will in particular feed anti-nuclear movements, notably in Europe. The latter will argue that nuclear weapons states are preparing for a new nuclear arms race, which makes the prohibition of nuclear weapons urgent. On the contrary, European governments would perceive nuclear deterrence as even more important to protect themselves from aggressive nuclear stances. This could involve significant domestic political difficulties for several European governments.